国务院国发18号文件公布中华人民共和国文化部确定的第一批国家级非物质文化遗产名录(the first batch of nation-class non-material cultural heritage in China ,National Intangible Cultural Heritage) 共计518项,福建武夷山市武夷岩茶(大红袍)制作技艺[Wu Yi tea (dahongpao) traditional manufacture craft and custom)](序号:413;编号Ⅷ—63)入选"传统手工技艺"项目,成为首批唯一的茶类国家级非物质文化遗产. 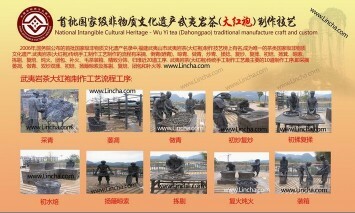 作为传统手工技艺的国家级非物质文化遗产,武夷岩茶（大红袍）传统制作技艺Wu Yi tea (dahongpao) traditional manufacture craft and custom源于明末,成于清初.武夷岩茶（大红袍）制作工艺流程共有10道工序,即采摘、萎凋、做青、双炒双揉、初焙、扬簸晾索及拣剔、复焙、团包和补火,期间经历了千余年历史的技艺传承.武夷岩茶（大红袍）既有绿茶的清香、红茶的甘醇,又独具“岩骨花香”的乌龙茶神韵.大红袍“活、甘、清、香”的滋味与它的品种有关,更与它自古以来独一无二的制作工艺有关.已故的茶界泰斗陈椽先生更评价它是“全世界最先进的制作技术,无与伦比,值得中国人民雄视世界”. 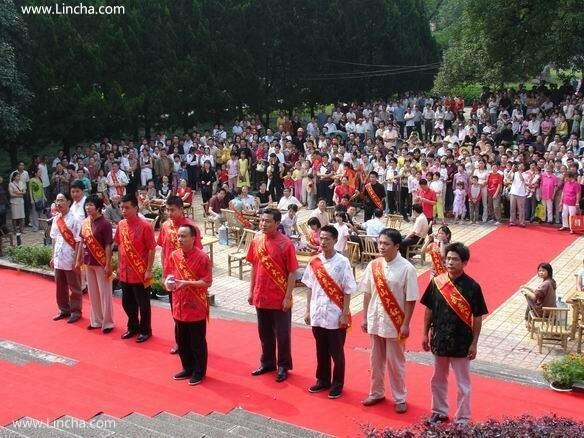 2006年5月25日,文化部部长孙家正在新闻发布会上宣布了首批国家非物质文化遗产保护名单(the first batch of nation-class non-material cultural heritage in China,National Intangible Cultural Heritage)),武夷山榜上有名,武夷岩茶（大红袍）传统制作技艺([WuYi tea (dahongpao) traditional manufacture craft and custom])成为首批国家非物质文化遗产,这是全国唯一因茶进入的国家非物质文化遗产.